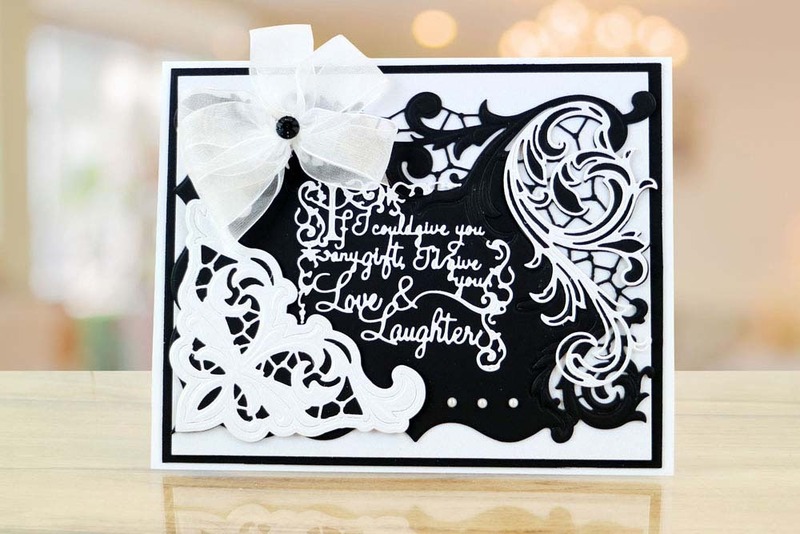 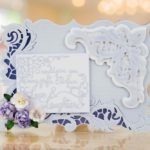 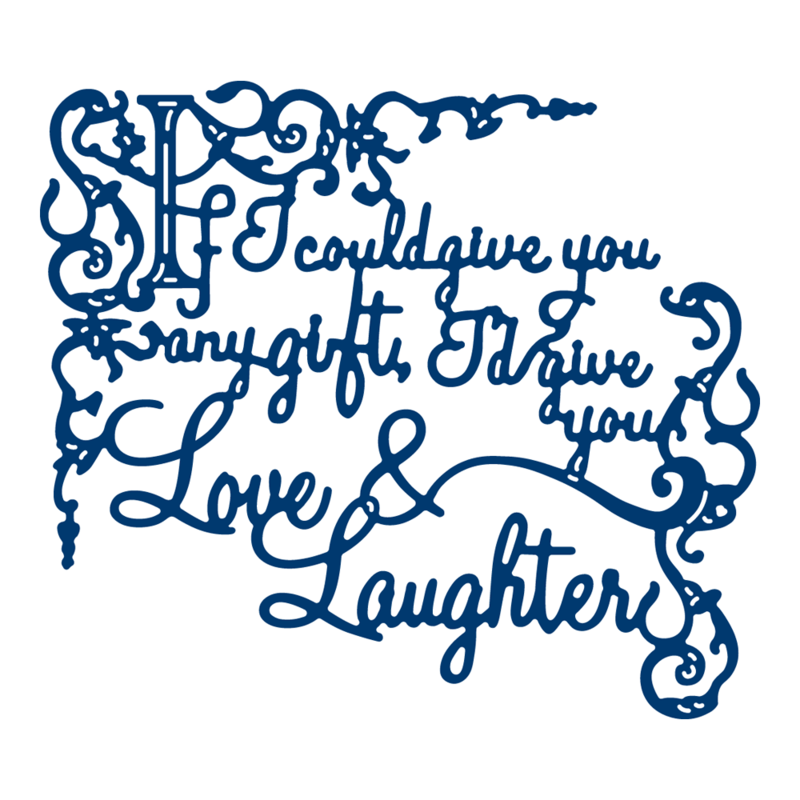 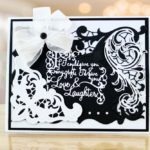 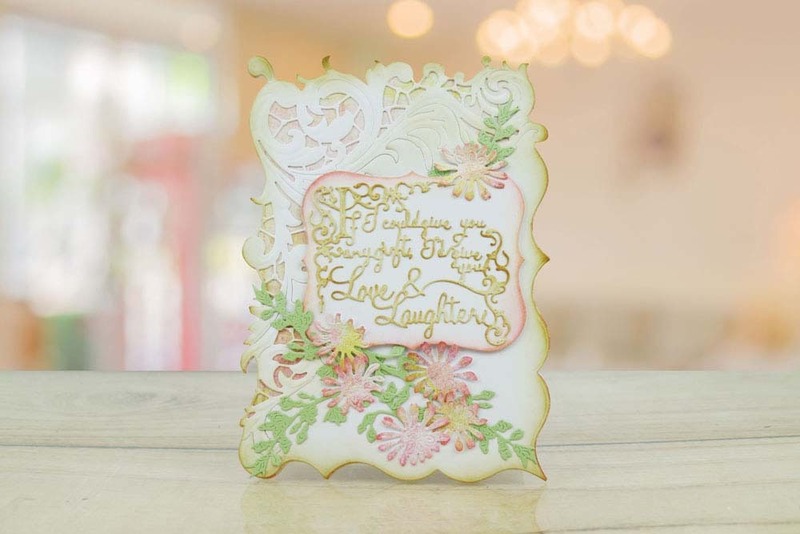 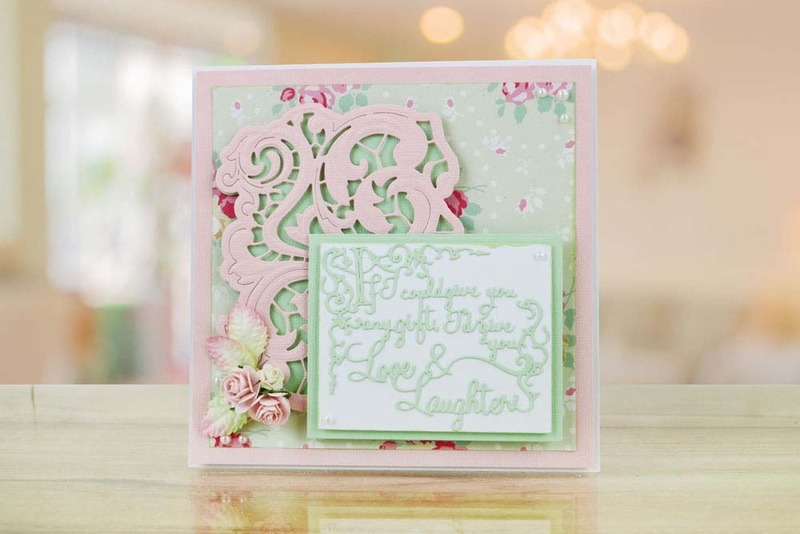 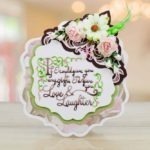 The Tattered Lace Love and Laughter die is beautifully detailed with swirls entwined around the sentiment, the sentiment reads ‘If I could give you any gift, I’d give you Love & Laughter’. 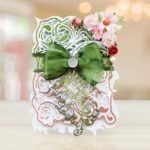 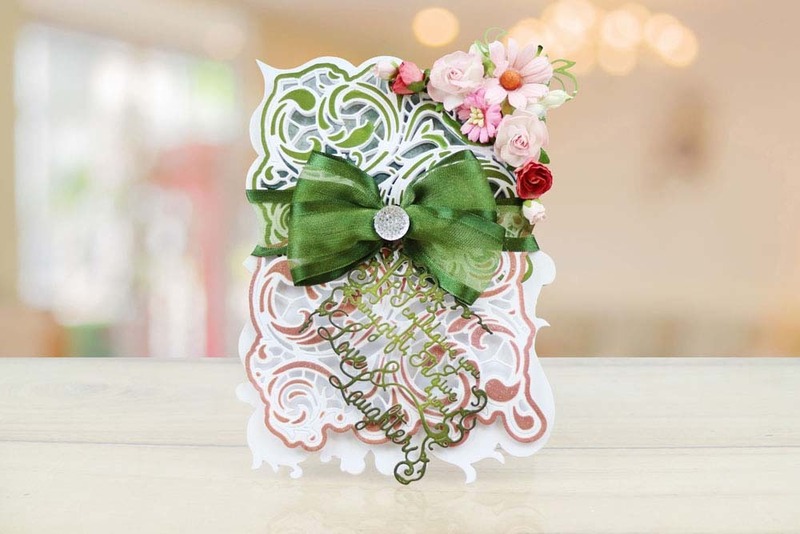 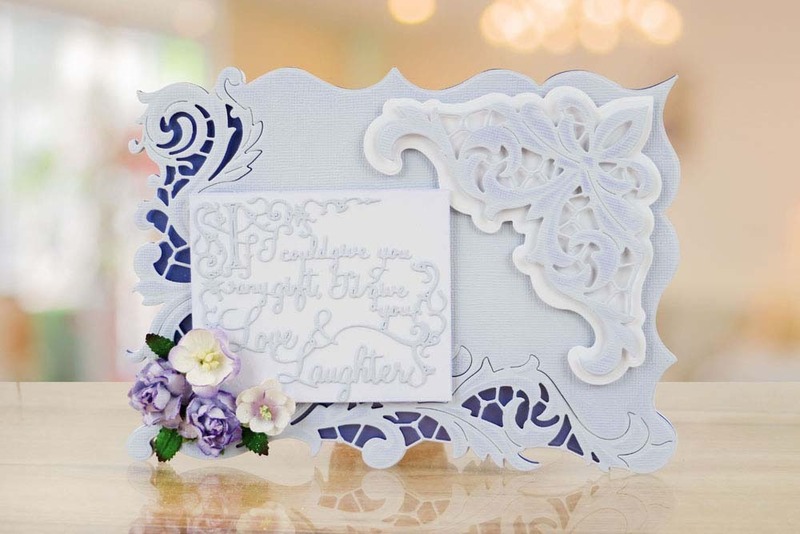 Use together with the Lavish Flourish Card Shape die and create an aperture for the sentiment to fit in and then Sprinkle with some glitter for that extra sparkle. 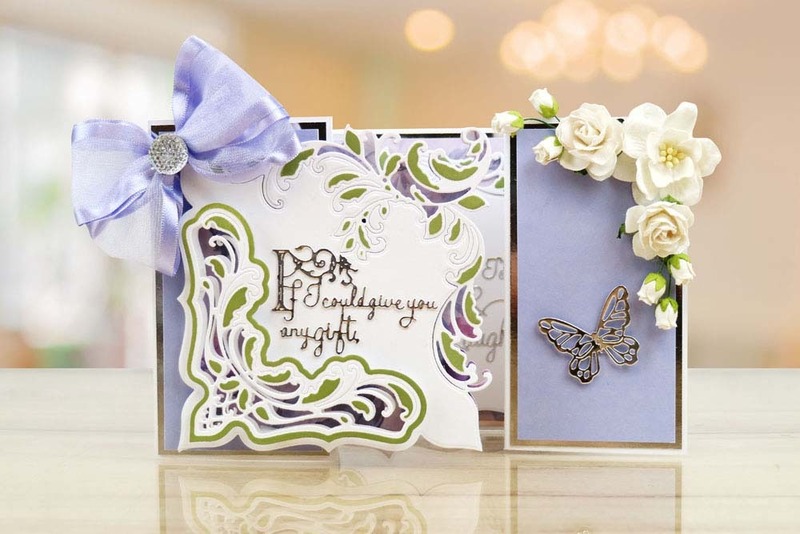 Add foam squares underneath to make the sentiment stand out. 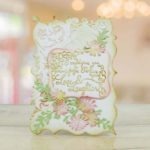 This die measures approx 8.9cm x 7.9cm. 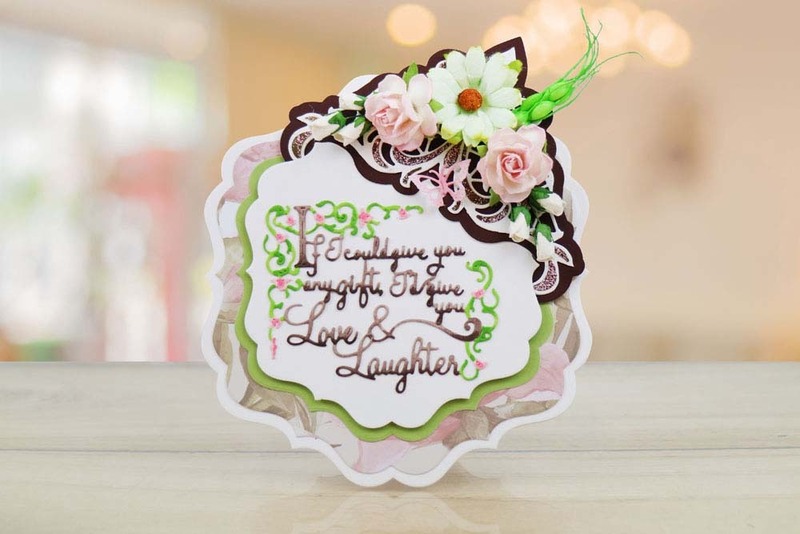 This product is part of the Felicitations Collection.